Last month, Mises Institute, an Austrian think tank, posted an interesting article on the American student-loan crisis. For the most part, the article contains interesting and accurate information; but it also said student loans cannot be discharged in bankruptcy--which is not true. The Mises Institute article focuses on student-loan debt owed by older Americans, As author Andrew Moran explained, these debts fall into two categories: student loans that seniors take out to finance their own education and Parent PLUS loans, which are loans older Americans take out for their children's postsecondary studies. 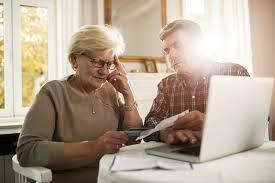 "It is the Parent PLUS program that seems to be wreaking the most havoc on older Americans," Moran wrote. These loans are marketed to parents of college students and carry a fixed interest rate of 7.67 percent plus an origination fee equal to 4.2 percent of the loan. As Moran noted, there is no cap on the amount of money parents can borrow through Parent PLUS. American seniors who fall behind on their student-loan payments face serious consequences. As Moran reported, the federal government can seize income-tax refunds from senior Americans who default on their student loans (either their own loans or the loans they took out for their children). The feds can also garnish Social Security checks. True enough. 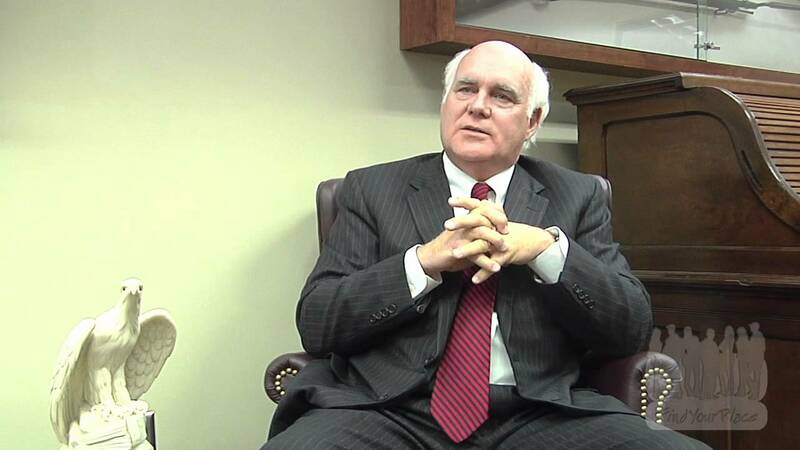 Moran then went on to state that student-loan debt cannot be discharged in bankruptcy. But this is not accurate. The Bankruptcy Code states that students cannot be discharged unless the debtor can show that paying the loans would create an "undue hardship." It is true that discharging student loans in bankruptcy is very difficult, and the Department of Education or its agents oppose bankruptcy relief in almost every instance. But in recent years, bankruptcy judges have discharged student-loan debt in a number of cases. For example, in the Abney case, a Missouri bankruptcy judge discharged student loans owed by a man in his 40s who was living near the poverty line and had actually slept in his employer's truck for a time. In the Lamento case, an Ohio judge discharged student loans owed by a 35-year-old, single mother with two children who had taken out loans to get a college degree she had been unable to obtain. In Kansas, a bankruptcy judge discharged accumulated interest on student loans owed by a married couple in their late 40s, and the decision was upheld on appeal. Later, a second Kansas bankruptcy judge forgave accumulated interest on student loans owed by V icky Jo Metz, a 59-year-old woman who had taken out student loans in the 1990s to attend a community college. One might argue that isolated decisions by compassionate bankruptcy judges are anomalies, and that the common belief that student loans are nondischargeable is overall still true. But several federal appellate courts have expressed sympathy for distressed student-loan debtors. The Roth decision by the Ninth Circuit Bankruptcy Appellate Court, the Krieger ruling out of the Seventh Circuit, the Fern case from the Eighth Circuit Bankruptcy Appellate Court, and the Tenth Circuit's Polleys decision all approved bankruptcy relief for overburdened student debtors. I do not wish to criticize Mr. Moran for the error in his Mises article. The Department of Education has done nothing to dispel the myth that student loans are nondischargeable; and in fact DOE has uniformly opposed bankruptcy relief, even for people in desperate circumstances. In the Myhre case, for example, DOE opposed bankruptcy relief for a quadriplegic who was gainfully employed but not making enough money to pay for the full-time care he needed to feed and dress himself. And a pattern has emerged for student-loan creditors to assign student loans to Educational Credit Management Corporation, who often steps in to oppose bankruptcy relief after the debtor files for relief. Why? I think it is become ECMC, with its network of lawyers and ample resources for paying attorneys, has become the Department of Education's hired thug to beat down destitute student-loan debtors, who often come to court without attorneys. So keep reporting on the student-loan crisis, Mr. Moran. You are doing good work. And don't feel bad about the error in the Mises article. The myth that student loans are nondischargeable in bankruptcy has been circulated many times by experts, even by attorneys who should know better. Katy Stech Ferek published an article in Wall Street Journal a few days ago in which she reported that bankruptcy judges are becoming more sympathetic to debtors seeking to discharge their student loans in bankruptcy. Is Ferek correct? I once would have thought so. Until recently, I believed the bankruptcy courts were becoming more compassionate toward bankrupt student debtors. But now I am not so sure. Without question there have been some heartening developments in the federal bankruptcy courts over the past few years. At the appellate level, the Ninth Circuit Bankruptcy Appellate Panel discharged student loans owed by Janet Roth, an elderly student-loan debtor who was living on a monthly Social Security check of less than $800. Judge Jim Pappas, in a concurring opinion, argued sensibly that the courts should abandon the harsh Brunner test for determining when a debtor can discharge student loans under the Bankruptcy Code's "undue hardship" standard. The Seventh Circuit, in its Krieger decision, discharged student debt of a woman in her fifties on undue hardship grounds, in spite of the fact that she had not enrolled in an income-based repayment plan. The court agreed with the bankruptcy court that Krieger's situation was hopeless. This too was a heartening decision for distressed student debtors. Fern v. Fedloan Servicing, decided in 2017 is another good decision. In that case, the Eighth Circuit Bankruptcy Appellate Panel affirmed bankruptcy relief for a single mother, specifically noting the psychological stress experienced by debtors who know they will never pay off their student loans. And there have been several good decisions in the lower courts. The Abney case out of Missouri, the Lamento case out of Ohio, the Myhre decision, and a handful of other recent decisions were compassionate rulings in favor of down-on-their-luck student debtors. But a few warm days do not a summer make. Thus far, no federal appellate court has explicitly overruled the draconian Brunner test for determining when a student loan constitutes an undue hardship. And there have been some shockingly harsh rulings against student debtors. In Butler v. Educational Credit Management Corporation, decided in 2016, a bankruptcy judge refused to discharge Brenda Butler's student debt, which had doubled in the twenty years since she had graduated from college, in spite of the fact she was unemployed and the judge had explicitly stated that she had handled her student loans in good faith. The judge ruled Butler should stay in a 25-year repayment plan that would end in 2037, more than forty years after she graduated from college! Moreover, there simply have not been enough recently published bankruptcy-court rulings to constitute a trend. As Ferek reported in her article, federal judges in student-loan bankruptcy cases ruled only 16 times in 2017, and student loans were canceled in only three of those cases. Even favorable rulings do not look quite so encouraging when examined closely. Ferek mentioned the Murray case out of Kansas, in which a bankruptcy judge granted a partial discharge of a married couple's student-loan debts. This was a favorable ruling, but Educational Credit Management Corporation, the federal government's most ruthless debt collector, appealed. Fortunately for the Murrays, they were represented by an able Kansas lawyer; and the National Association of Consumer Bankruptcy Attorneys, joined by the National Consumer Law Center, filed an amicus brief on the Murrays' behalf. The Murrays prevailed on appeal, but most student-loan debtors do not have the legal resources the Murrays had. Ferek wrote a useful article, and I hope distressed student-loan debtors read it and are encouraged. Nevertheless, the fact remains that very few insolvent college-loan borrowers get bankruptcy relief from their crushing student loans. And those who have the courage to seek bankruptcy relief often have a long road to travel. Michael Hedlund, a law school graduate who won partial relief from his student debt in a Ninth Circuit ruling, litigated with his creditor for 10 years! Butler v. Educational Credit Management Corporation, Case No. 14-71585, Chapter 7, Adv. No. 14-07069 (Bankr. C.D. Ill. Jan. 27, 2016). Katy Stech Ferek. Judges Wouldn't consider Forgiving Crippling Student Loans--Until Now. Wall Street Journal, June 14, 2018. Fern v. Fedloan Servicing, 563 B.R. 1; 2017 (8th Cir. B.A.P. 2017). Hedlund v Educational Resources Institute, Inc., 718 F.3d 848 (9th Cir. 2013). Lamento v. U.S. Department of Education, 520 B.R. 667 (Bankr. N.D. Ohio 2014). Murray v. Educational Credit Management Corporation, 563 B.R. 52 (Bankr. D. Kan. 2016), aff'd, Case No. 16-2838 (D. Kan. Sept. 22, 2017). Myhre v. U.S. Department of Education, 503 B.R. 698; 2013 (Bankr. W.D. Wis. 2013). Roth v. Educational Credit Management Corporation, 490 B.R. 908 (9th Cir. B.A.P. 2013). Matt Taibbi's Rolling Stone article on student loans: Why don't distressed student borrowers file bankruptcy? Matt Taibbi wrote a terrific article for Rolling Stone about the student loan crisis. Titled "The Great College Loan Swindle" Taibbi's piece told the story of two distressed student-loan borrowers: Scott Nailor and Veronica Martish. Nailor borrowed $35,000 to get a college degree in education. Unfortunately, his first teaching job only paid $18,000; and he fell behind on his payments. Ultimately, he filed for bankruptcy and defaulted on his student loans. Apparently, he did not try to expunge his student-loans in bankruptcy, because he still paying on them. Due to penalties and accrued interest, Nailor estimates he now owes $100,000. Veronica Martish, a 68-year-old military veteran, borrowed $8,000 to take courses at Quinebaug Valley Community College; and her investment in higher education did not pay off any better than Nailor's. She fell behind on her student-loan payments and her debt swelled to $27,000 due to fees and interest. Martish eventually entered a loan "rehabilitation" program, but her payments hardly put a dent in the loan principal. She told Taibbi that she's paid $63,000 on her student loans and is nowhere near paying them off. Taibbi's article about the student-loan crisis is excellent, and he choose two people--Nailor and Martish--who could be the poster children for this catastrophe. Unfortunately, Taibbi's article did not mention the one avenue of relief that is probably open to both Martish and Nailor--bankruptcy. It is true that student loans are very hard to discharge in bankruptcy, but it is not impossible. Debtors must show that their student loans constitute an "undue hardship," and the courts have traditionally defined undue hardship quite harshly. Most federal courts have adopted the Brunner test for determining whether undue hardship exists. 1)Can the debtor maintain a minimal standard of living for himself or herself and dependents and pay off the student loans? 2) Are the debtor's financial circumstances likely to change in the reasonably foreseeable future? 3) Did the debtor handle his or her student loans in good faith? In the past, the bankruptcy courts applied the Brunner test quite harshly, and many worthy debtors were denied relief. In fact, a myth has developed that it is impossible for debtors to discharge their student loans in bankruptcy. In recent years, however, more and more student debtors have gone into the bankruptcy courts and gotten their loans discharged in bankruptcy or at least partially discharged. In fact, several debtors have gotten bankruptcy relief from their student loans even though their circumstances were less dire than either Nailor's or Martish's. Indeed, I feel confident that Nailor and Martish could wipe out their student loans in bankruptcy if only they had competent legal counsel to guide them through the process. After all, what bankruptcy judge would deny relief to Veronica Martish, a 68-year-old military veteran who borrowed $8,000 and has paid more than $60,000 toward paying off the debt? What judge would deny relief to Scott Nailor who borrowed $35,000, now owes $100,000 and is so depressed by his debt that he contemplated suicide. Nailor would be interested to know that several bankruptcy courts have considered the psychological stress of long-term indebtedness when applying the undue hardship rule. And Martish would be interested in knowing that the Ninth Circuit's Bankruptcy Appellate Panel discharged the debt of Janet Roth, a woman about the same age as Martish and who probably made fewer payments on her loans than Martish did. I feel sure most bankruptcy judges would be quite sympathetic to both Martish and Nailor. Someone needs to tell these distressed debtors that they should file bankruptcy and attempt to get their student loans discharged in bankruptcy through an adversary proceeding. Matt Taibbi. (2017, October). The Great College Loan Swindle. Rolling Stone. 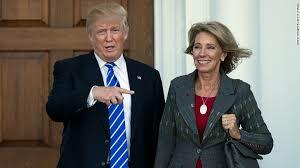 You have been Secretary of Education for about a month, so you know the federal student loan program is in shambles. Eight million borrowers are in default, millions more aren't making payments while interest accrues on their debt, 5.6 million people have signed up for income-driven repayment plans and are making payments so small that their debt is negatively amortizing even though they are faithfully making regular payments. Obviously, there are dozens of things the Department of Education can do to address this crisis, but you can easily do one thing to help alleviate mass suffering and it is this: Please direct DOE and all its student-loan debt collectors to stop opposing bankruptcy relief for distressed student-loan borrowers. In 2015, Deputy Secretary Lynn Mahaffie issued a letter stating DOE and its debt collectors would not oppose bankruptcy relief for student-loan debtors if it made no economic sense to do so. But in fact, both the Department and its agents oppose bankruptcy relief in almost every case. In Myhre v. U.S. Department of Education, the Department opposed bankruptcy relief for a quadriplegic who worked full time but could not make student-loan payments and still pay the full-time caregiver he needed to dress him, feed him, and drive him to work. In Abney v. U.S. Department of Education, DOE urged a bankruptcy court to put a destitute student borrower into a long term payment plan even though the debtor was living on $1200 a month and was so poor he could not afford to drive a car and was riding a bicycle to work. In Roth v. Educational Credit Management, ECMC fought an elderly woman's efforts to shed her student loans even though the woman had a monthly income of less than $800 a month and suffered from several chronic health problems. In Edwards v. Educational Credit Management Corporation, ECMC argued to an Arizona bankruptcy judge that a 56-year-old counselor who owed $245,000 in student loans should be put in a 25-year repayment plan whereby she would make token payments until she was 81 years old! Some of these cases were decided before Mahaffie's 2015 letter and some were decided after, but the dates are immaterial. DOE and its agents almost always oppose bankruptcy relief for student-loan debtors, no matter how desperate their circumstances. In fact, DOE's position is essentially this: NO STUDENT DEBTOR IS ENTITLED TO BANKRUPTCY RELIEF. Instead, everyone should be placed in income-driven repayment plan (IDR) that can last for 20 or even 25 years. But you could change DOE's position simply by signing your name to a single letter. That letter should say that DOE and its debt collectors will no longer oppose bankruptcy relief for student debtors who cannot pay back their college loans and still maintain a minimal standard of living. And DOE will no longer argue that IDRs are a reasonable alternative to bankruptcy relief. If you did that, hundreds of thousands of insolvent college-loan borrowers could discharge their student debt in bankruptcy and get a fresh start--a fresh start the bankruptcy courts were established to provide. Your advisers may argue that the IDR program offers college borrowers a reasonable way to ultimately pay off their student loans, but that's not true. Do you think Rita Edwards would have ever paid back the $245,000 she owed the government by making payments of $81 a month in an IDR as ECMC proposed in her bankruptcy case? Of course not. Do you think Janet Roth would have ever paid back her student-loan debt of $90,000 if she had been put in an IDR that would have set her monthly payments at zero due to her low income? No, and it was absurd for ECMC to have made that argument in Roth's bankruptcy case. The stark reality is this. Millions of student borrowers have seen their loan balances double, triple and even quadruple due default fees and accruing interest. Putting these people into 20 and 25-year repayment plans that only require them to make token payments is insane. Secretary DeVos, you could eliminate so much suffering if you would simply write a letter stating that DOE will no longer oppose bankruptcy relief for people like Myhre, Edwards, Roth, Abney and millions of other people in similar circumstances who will never pay back their student loans. Annual Report of the CFPB Student Loan Ombudsman. Consumer Financial Protection Bureau, September 2016. Ann Carrns. How to Dig Out of Student Loan Default. New York Times, October 21, 2016. Edwards v. Educational Credit Management Corporation, Adversary No.. 3:15-ap-26-PS, 2016 WL 1317421 (Bankr. D. Ariz. March 31, 2016). Lynn Mahaffie, Undue Hardship Discharge of Title IV Loans in Bankruptcy Adversary Proceedings. CL ID: GEN 15-13, July 7, 2015. Myhe v. U.S. Department of Education, 503 B.R. 698 (Bankr. W.D. Wis. 2013). Matt Sessa. Federal Student Aid Posts Updated Reports to FSA Data Center. U.S. Department of Education Office of Student Aid, December 20, 2016. In recent blogs, I discussed two cases in which Educational Credit Management Corporation, the Department of Education's most ruthless student-loan debt collector, was sanctioned by a court for misbehavior. In the Bruner-Halteman case, a Texas bankruptcy judge assessed punitive damages against ECMC for garnishing the wages of a bankrupt Starbucks employee in violation of the Bankruptcy Code's automatic stay provision. The judge awarded Ms. Bruner-Halteman $74,000 in punitive damages--$2,000 for each of the 37 times ECMC wrongly garnished her wages. In the Hann case, the First Circuit Court of Appeals upheld sanctions against ECMC for trying to collect on a student loan debt in spite of the fact that a federal bankruptcy judge had ruled that the debt had been paid. Are these isolated cases of misbehavior? No they are not. In 2014, Rafael Pardo published an article in the University of Florida Law Review that documents how often ECMC's attorneys engage in "pollutive litigation" in cases against hapless bankrupt student-loan debtors. The Federal Rules of Bankruptcy Procedure require corporate parties in adversary proceedings to file a "corporate ownership statement" that identifies any corporate party that directly or indirectly owns 10 percent or more of the corporate party's equity interests. According to Pardo's analysis of a random sample of cases, ECMC failed to file its corporate ownership statement 81 percent of the time during 2011 and 2012. Pardo also documented incidents when ECMC failed to abide by the Federal Rules of Civil Procedure in its motion practice. First, in some adversary proceedings a student-loan debtor fails to name ECMC as a defendant, probably because the debtor did not know the name of the correct party to sue. In such cases, ECMC is required to state with particularity that the debtor's student-loan debt has been assigned to ECMC and that it is the proper party to litigate whether the debt is dischargeable. Furthermore, when ECMC did file a motion to join the litigation, the motion contained a substantive deficiency 80 percent of the time (in the cases Pardo examined). Deficiencies included failing to allege assignment of the loan, failure to provide documentation of a loan's assignment, and failure to indicate which of the Federal Rules entitled it to be granted relief. One might respond to Pardo's findings with a yawning so-what, but as Pardo pointed out, "Such procedural noncompliance is significant because it calls into question the legitimacy of a court's decision to allow a movant who may not have a valid basis to join the litigation" (p. 2153). Moreover, the fact that bankruptcy courts have allowed ECMC to get away with these procedural violations suggests that the courts aren't looking closely enough to determine whether ECMC has the right to insert itself into a student-debtor's adversary proceeding. In the majority of the cases Pardo examined, the debtor did not name ECMC as a defendant. In those cases, ECMC was required to file a motion to intervene on the grounds that it was the proper named party. In the cases Pardo reviewed, ECMC filed an improper response 89 percent of the time. For example, ECMC would sometimes answer a student debtor's complaint before it had served its motion to intervene. How these irregularities affects a student-debtor's interest is a bit complicated, and I invite you to read Pardo's discussion on that issue. But it is remarkable, in my view, that ECMC, a sophisticated debt collector, fails to abide by the Federal Rules of Procedure on so many occasions. Pardo also found significant rules violation in ECMC's discovery practices. In particular, Pardo found a case in which ECMC moved for summary judgment based on a student debtor's deemed admissions even though ECMC had wrongly asked the debtor to admit to a conclusion of law. In my mind, ECMC engages in serious misconduct when it formally asks a bankrupt student-loan debtor to admit to conclusions of law--especially an unsophisticated debtors who is not represented by an attorney. Not only are such requests impermissible under the Federal Rules, but student debtors may not know that; and they may also not know that an unanswered Request for Admission is deemed to be admitted. Pardo characterized ECMC's bankruptcy-case behavior as "pollutive litigation," and that's putting the matter mildly. ECMC gets reimbursed by the federal government for its attorney fees--fees that are often spent harassing unsophisticated debtors who do not even have lawyers. Moreover, ECMC frequently wears student debtors down just by prolonging the litigation. Janet Roth, for example, an elderly woman living on Social Security income of less than $800 a month, filed for bankruptcy in January 2009. Her case was not concluded until April 2013, more than four years later. There are a lot of things Congress can do to clean up the student-loan mess and bring relief to millions of suffering student debtors. But shutting down ECMC would be a big step in the right direction. The Department of Education Should Shut This Bad Boy Down. Rafael Pardo. The Undue Hardship Thicket: On Access to Justice, Procedural Noncompliance and Pollutive Litigation in Bankruptcy. 66 Florida Law Review 2101-2178. Betsy DeVos, Donald Trump's choice for Secretary of Education, has no experience in higher education, and that may be a good thing for student-loan debtors. Most commentators on the student-loan crisis are insiders who want to maintain the status quo regarding the federal student loan program. The universities depend on regular infusions of student-loan money, which enables them to raise their tuition prices year after year at twice the rate of inflation. But DeVos has no ties to higher education at all, and thus she has the capacity to look at the student-loan catastrophe from a fresh perspective. In fact, DeVos has the power to do one simple thing that could potentially bring relief to millions of distressed student-loan debtors. Under current bankruptcy law, debtors cannot discharge their student loans in bankruptcy unless they can show that repaying the loans will cause them "undue hardship." In nearly every case, the Department of Education and the student-loan guaranty companies argue that student-loan debtors should be denied bankruptcy relief under the undue hardship standard. Instead, they routinely demand that distressed college borrowers enroll in long-term income-based repayment plans that can last for 20 or even 25 years. And DOE and its debt collectors make this demand even when debtors' income is so low that they pay nothing or next to nothing under the terms of these plans. In the Edwards case, decided last spring, Educational Credit Management (ECMC) argued that Rita Gail Edwards, a woman in her mid-50s, should pay $56 a month for 25 years to service a debt of almost a quarter of a million dollars! In the Roth case, ECMC opposed bankruptcy relief for Janet Roth, an elderly woman with chronic health problems who was living on Social Security income of less than $800 a month. Instead, ECMC wanted Roth to enter a long-term repayment plan even though ECMC conceded that Roth's income was so low that she would pay nothing under the plan. In the Abney case, DOE wanted Abney, a 40-year-old father of two, to enter a 25-year income-based repayment plan. Abney was living on $1200 a month and was so poor he couldn't afford a car and rode a bicycle to get to his job. In essence, DOE and the debt collectors maintain that almost no one is entitled to discharge their student loans in bankruptcy and that everyone should be placed in long-term, income based repayment plans. By consenting to bankruptcy discharges for people like Abney, Edwards and Roth, the Department of Education would signal to the bankruptcy courts that it supports a less harsh interpretation of the "undue hardship" standard. That would open the door for thousands of people of distressed debtors to file bankruptcy to discharge their student loans. Some people might argue that my proposal would unleash a flood of bankruptcy filings that would undermine the financial integrity of the federal student loan program. But let's face facts. People like Roth, Edwards and Abney would never have paid back their student loans, and placing them in 25-year repayment plans that would have obligated them to make token payments that would have done nothing more than maintain the cynical fiction that their loans weren't in default. Wouldn't it be better for DOE to be candid about the student-loan crisis and admit that millions of people will never pay back their loans? Wouldn't it be better public policy to allow honest but unfortunate debtors to get the fresh start that the bankruptcy courts are intended to provide? Betsy DeVos is fresh on the scene of the student-loan catastrophe. 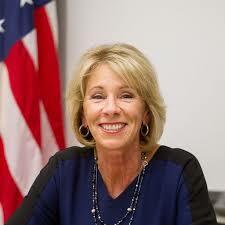 Let's hope she brings some fresh thinking to the U.S. Department of Education. Educational Credit Management Corporation and the U.S. Department of Education: Are They Co-Conspirators in Accounting Fraud? Last March, an Arizona bankruptcy court discharged $245,000 in student loan debt owed by Rita Gail Edwards, a 56-year-old single woman earning a tenuous living as a counselor. Educational Credit Management Corporation (ECMC), her student-loan creditor, fought the discharge. ECMC wanted Edwards placed in a 25-year income-based repayment plan. Under such a plan, Edwards would only pay $84 a month on her loans for 25 years. ECMC's position was absurd, of course. A woman in her late 50s will never pay off a $245,000 loan by making monthly payments of $84. The only possible purpose that is served by jamming Ms. Edwards into a 25-year repayment plan is to carry her student-loan debt on the Department of Education's books as a performing loan. In ruling for Ms. Edwards, the bankruptcy judge questioned the wisdom of a system that allowed Edwards to borrow so much money. "In hindsight, it is a shame that [Edwards] ever incurred these student loan debts," the court observed. While her Ottawa University education may have given her the tools and credentials to work in an emotionally satisfying role [as a counselor] and may have provided a well needed skilled counselor in her rural community, the predictable economic burden was never likely to justify the massive economic burden she incurred. The Edwards case demonstrates the insanity of the federal student-loan program. Our government allows people to borrow extravagant amounts of money for educational programs that will never pay off, and then it engages debt collectors to push borrowers into long-term income-based repayment plans that stretch out over 25 years and will almost never result in the loans being repaid. And the Edwards case is not an anomaly. In the Roth case, ECMC opposed a bankruptcy discharge for an elderly woman with chronic health problems who was living on less than $800 a month. In fact, Roth's income was so low that ECMC acknowledged that Roth's monthly payments under an income-based repayment plan would be zero! In the Halverson case, ECMC opposed a discharge for a man in his sixties making less than $14 an hour as a substitute teacher and who owed almost $300,000 in student loan debt. Mr. Halverson borrowed less than half the amount he owed when he filed bankruptcy and was never in default. His debt ballooned mostly due to accruing interest while his loans were in deferment. The Department of Education itself has taken the same irrational stance regarding bankruptcy discharge for student debtors. In the Myhre case, DOE opposed a discharge for a quadriplegic, and in the Abney case, it opposed a discharge for a single father of two children who was living on less than $1200 a month and could not even afford to own a car. I can think of only one reason. ECMC and DOE are engaged in a massive accounting fraud, trying to convince the public that the federal student loan program is solvent and fiscally sound. But in fact the student loan program is a disaster. Eight million people are in default and and one out of four debtors are either in default or behind on their loan payments. ECMC benefits from the status quo--that is clear. According to a Century Foundation report, it has $1 billion in unrestricted assets, most of it obtained from its loan-collection activities. The Westlaw database shows that ECMC has appeared as a named party in over 500 federal court rulings; it has spent literally millions of dollars in attorney fees chasing after people like Gail Edwards and Janet Roth. And who pays those fees? According to a law review article written by Rafael Pardo, ECMC draws money from a Federal Reserve Fund to finance its loan-collection activities and has access to "significant [federal] resources when litigating against student-loan debtors" (p. 2145). Pardo cites a document showing that DOE allowed ECMC to keep a quarter of a billion dollars that it drew from DOE's Federal Reserve Fund to finance its activities in 2008 (p. 2145). So you, Mr. & Ms American taxpayer, are paying ECMC to engage in unproductive litigation against impoverished debtors--litigation intended to keep the student-loan crisis under wraps. And ECMC is a nonprofit organization--supposedly devoted to the public good. But ECMC is not acting for the public good. On the contrary, ECMC is DOE's hit man--the entity DOE sends to beat down bankrupt student debtors and prevent them from getting the bankruptcy relief they deserve. ECMC's senior executives are getting well paid to be DOE's "Mac the Knife." Its CEO makes at least a million dollars a year. In re: Halverson, 401 B.R. 378 (Bankr. D. Minn. 2009). If you are overwhelmed by your student-loan debt, discouraged, and don't know where to turn, take my advice. Go to your refrigerator, pop the cap off a Shiner, and then listen to Don't Give Up, written by Peter Gabriel and Kate Bush. Several artists have sung the song, but I prefer Willie Nelson's version. Some of the lyrics prompt me to reflect on the millions of Americans who are burdened by their unpayable student loans. "Don't give up," Willie tells us. "No reason to be ashamed." You still have your friends. And I personally believe that change is in the wind regarding the federal student loan program. I think the magnitude of the student-loan disaster has grown so enormous that the federal government can't ignore it. I see faint signs that help is on the way. First, the Department of Education is finally moving forward on banning mandatory arbitration clauses in student-enrollment contracts at the for-profit colleges. If DOE follows through, students who were defrauded by their colleges can sue and can even join class actions. This is a good sign, and could mark the beginning of the end for the rapacious for-profit college industry. Second, Hillary essentially embraced Bernie Sanders's call for free college education at public universities this week (with some qualifications). This is also a good sign, because no scheme to offer free tuition is workable without massive reform of the federal student-loan program. Third, and more importantly, Hillary called for a 3-month hiatus on student-loan payments while students refinance their loans to take advantage of lower interest rates. Once the federal government begins a wholesale effort to refinance millions of loans, it will be apparent to everyone that the student-loan program is a train wreck. Broad relief could emerge from Hillary's idea. Fourth, the bankruptcy courts are beginning to remember their purpose, which is to offer a fresh start to honest but unfortunate debtors. The recent cases are all over the place, with some courts still issuing callous decisions. But there are a lot of good decisions: Roth, Hedlund, Krieger, Abney, McDowell, Fern, etc. Fifth, the Department of Education issued an important letter in July, 2015 outlining when it would not oppose bankruptcy discharge for student-loan debtors. DOE said creditors should consider the cost of opposing bankruptcy discharges, whether or not they think a debtor can show undue hardship if forced to repay student loans. So far, this letter has been largely ignored. In my opinion, DOE did not act in harmony with the letter when it opposed bankruptcy discharge in the Abney case out of Missouri. But DOE is now on record that it recognizes a variety of circumstances when a bankruptcy discharge is appropriate for some student loan debtors. Richard Precht used that letter to his advantage in a Virginia bankruptcy decision earlier this year. He presented the letter to a very receptive Virginia bankruptcy judge, and DOE agreed not to oppose a discharge of Precht's debt. I acknowledge that all these signs of hope are faint and that a lot of misery lies ahead for millions of college borrowers who now hold about $1.5 trillion in student-loan debt. But this catastrophe will someday come to an end--it can't go on forever. I recall my father, who was captured by the Japanese on the Bataan Peninsula during World War II ad endured the living hell of a Japanese prison camp from April 1942 until August 1945. Two thirds of the men who were captured with my father did not survive the war. Some were murdered, some starved to death, and a few committed suicide. But my father survived, and the war ended. Likewise, the federal student-loan program will eventually collapse, and millions of deserving college borrowers will get relief. So, remember Willie's advice: Don't give up.